So what is good? 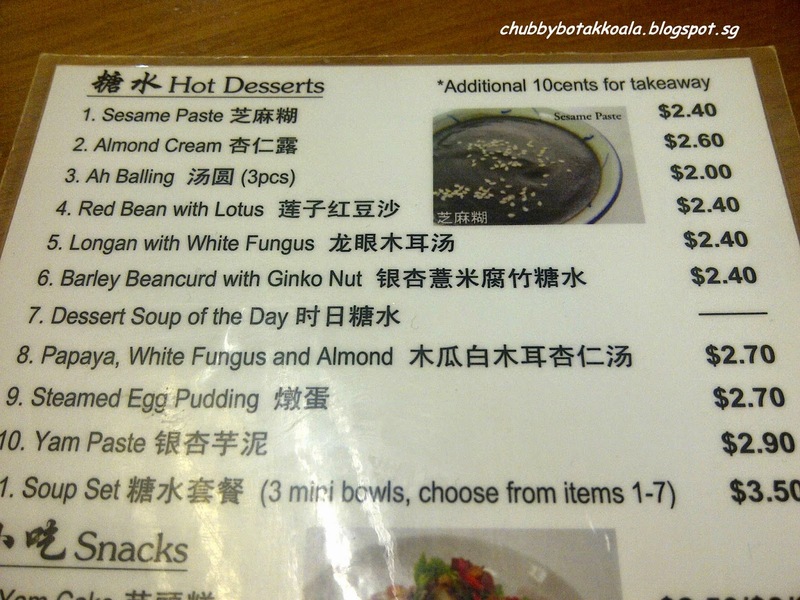 We ordered the Sago Gula Maleka ($2.50), Steam Egg Pudding ($2.70) and Grass Jelly Drink ($2.60). Check out the menu below. The Sago Gula Maleka was served small desert bowl. 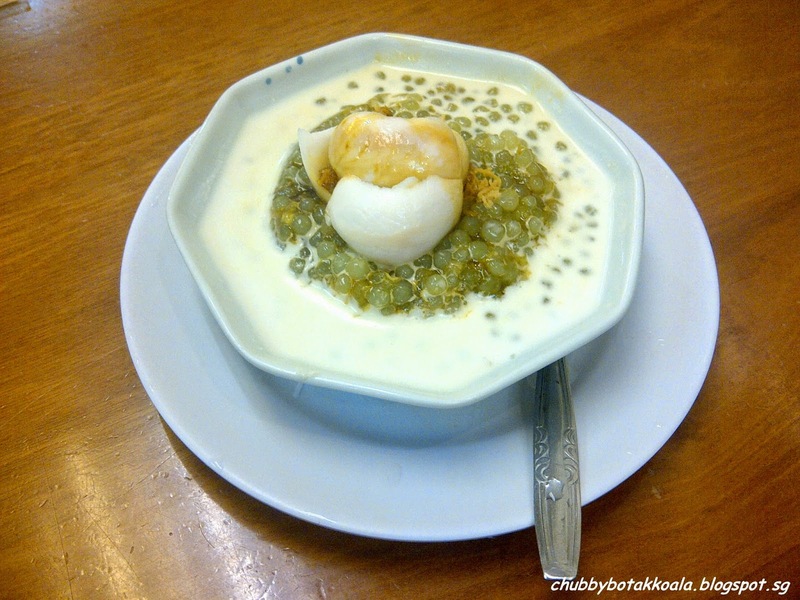 The Sago is green in colour, topped with brown sugar syrup (gula melaka), and coconut milk. To show the customer they are using fresh coconut, they put fresh coconut meat shavings on top. The sago is crunchy and does not stick to each other. It brown sugar has the right sweetness that goes well with the creaminess of the coconut milk. 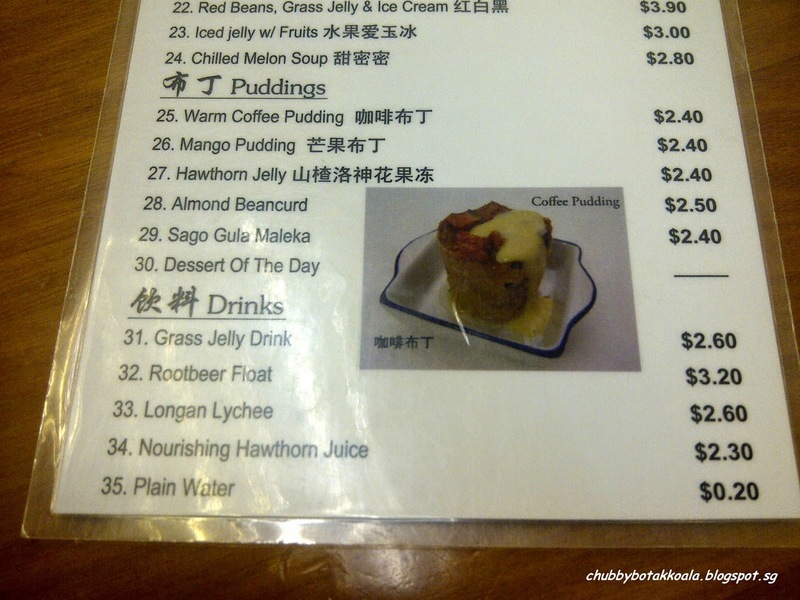 For you to prolong the enjoyment, they give you a teaspoon to slowly devour the dessert. Unique and Yummyyyyy!! 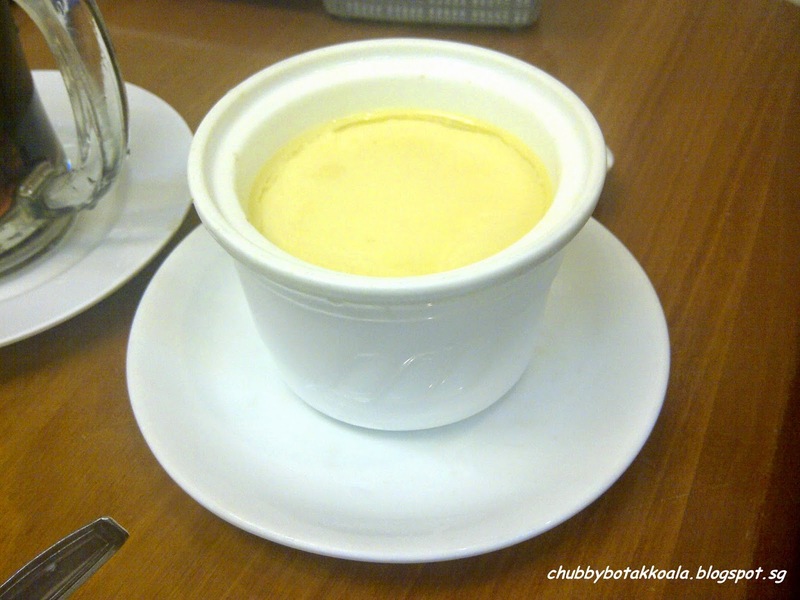 The Steam Egg Pudding is soft and smooth, with a little hint of ginger and sweetness. 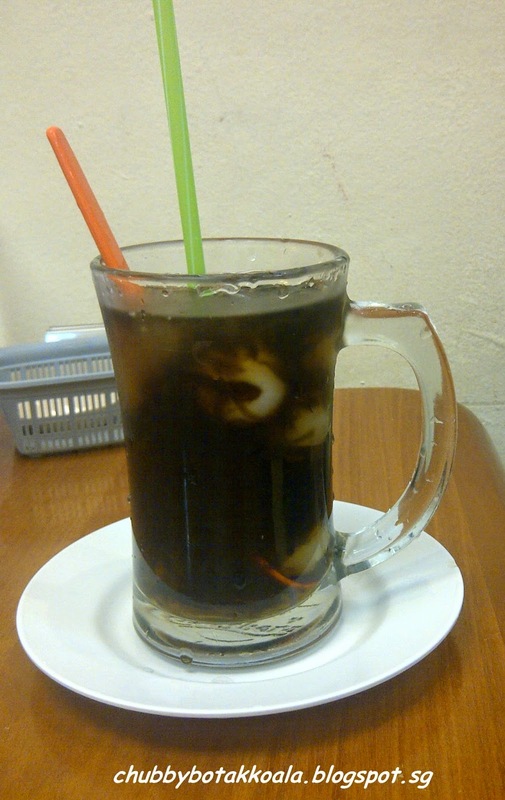 While the grass jelly drink is served with longan. 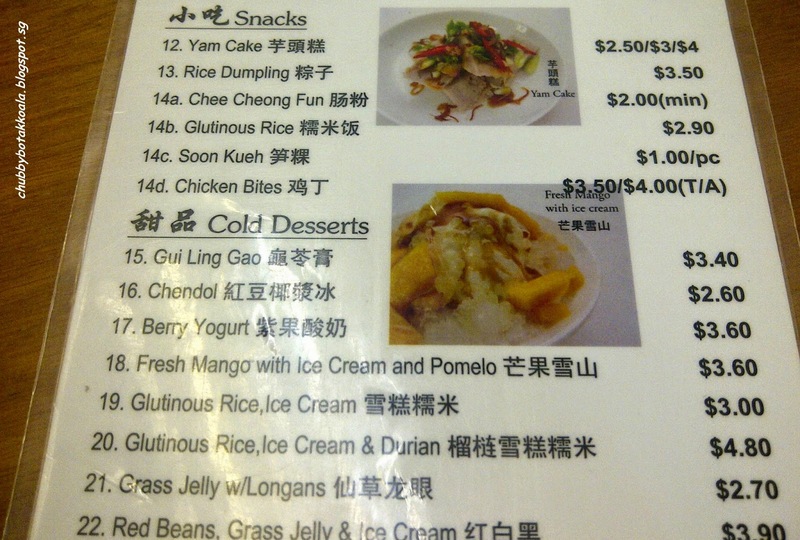 The best part of all is they put just enough sweetness on each of their desserts. The furnishing of the shop is simple. As only one to two person running the shop, service will depends on how busy is the shop. The owner is very friendly. Overall, it is truly a hidden fine. 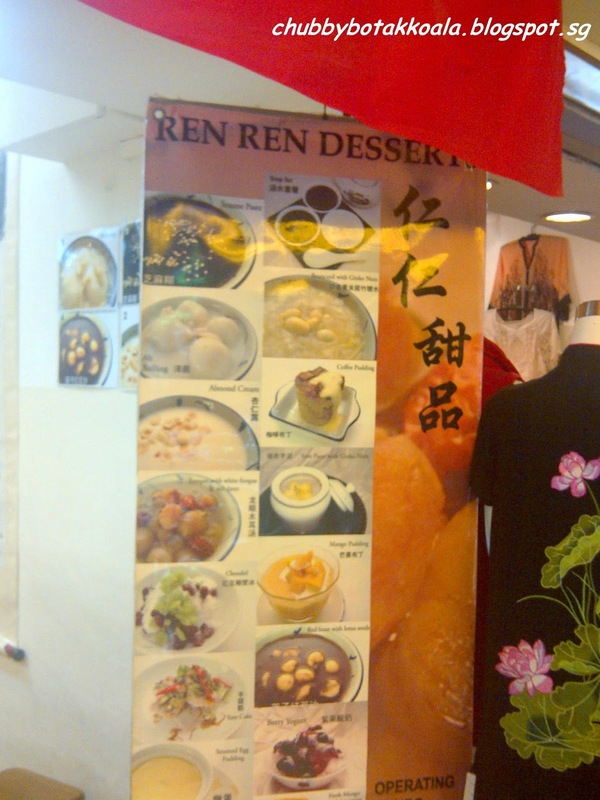 We'll be back for more to try other desserts.